30 regional branches throughout the country located in towns, cities and villages, in agriculture settlements and in the Arab sector. 25 Legal Bureaus and 5 Women’s Rights Centers are maintained throughout the country. 20,000 Legal Counseling Inquiries per year. 180 University Scholarships awarded annually with 4 additional Ph.D. grants in Gender Studies and 4 in Science. 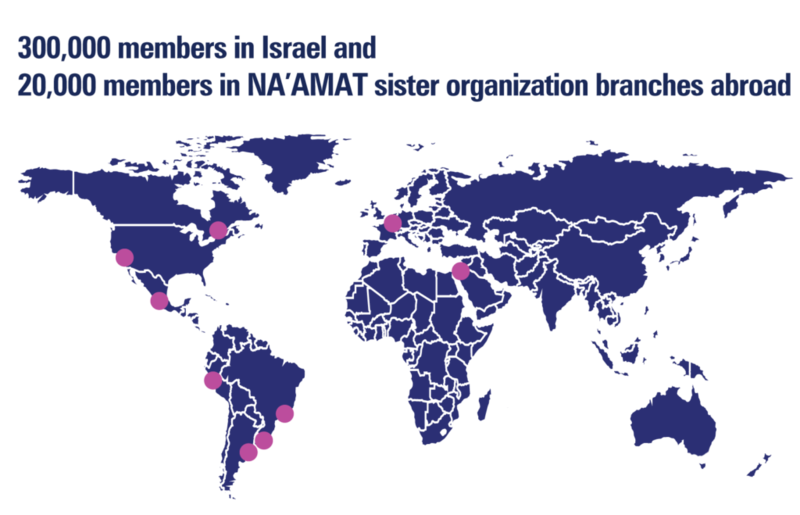 7-8 petitions are filed each year by NA`AMAT Attorneys to the Supreme Court, sitting as a high court of Justice, regarding the status of women and related issues. Tens of legislative initiatives are proposed annually to the Knesset (Israeli Parliament).